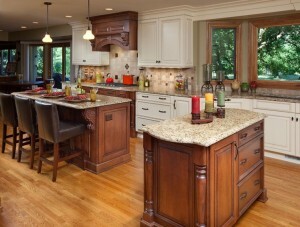 Kitchen Remodeling is a very personal experience. Here at Kitchen Kraft we like to highlight the personal investment our team has with each project rather than bury it in processes and management levels. We also work diligently to keep our clients remodel both time and cost effective by eliminating redundant meetings and taking the savings of lower overhead and returning it to our clients. These principles help our clients and make our team proud to be small. There are several reasons why we have chosen to stay small in the nineteen years we have been in business. One reason is to have the design and production teams just as invested in the client’s project as the client. Often times a poor service experience is based upon feeling like your project fell through the cracks. This it typically followed by the belief that those handling a problem or issue “don’t care.” It is nearly impossible to repair a business relationship once these thoughts and feelings have taken place. 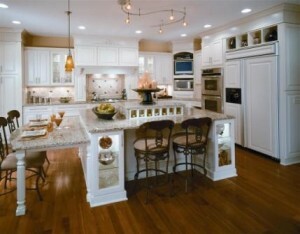 This is not to say that there will not be problems or issues with home remodeling. But it is how those issues and problems are handled, which build confidence and foster lasting relationships. Secondly, keeping our business small saves on time and cost for the client. Having two divisions, design and production, a project is more cost effective and moves along quicker. Many remodeling companies have multiple checkpoints, by multiple people, over a span of weeks that delay a project being ordered let alone installed. We have the designer work closely with the production team to ensure each piece is ordered correctly and questions are answered before a project is ordered. Kitchen Kraft also has checkpoints, but they are done in a quick and decisive manner between the two divisions in relatively short amount of time. If you are interested in remodeling your home, it is important to find a company that is a good fit for you, your needs, and your budget. Kitchen Kraft, located in Columbus, Ohio, is your one-stop shop. We handle everything from plumbing, electrical, framing, demolition, drywall, carpentry, and flooring and eliminate the need to hire multiple remodeling contractors. Our designers not only design your dream kitchen but also aesthetically put it together without having to hire other contractors. We are at your side every step of the way to ensure your project unfolds the way it was intended. Your satisfaction is our goal. Contact us today!